​Yahoo! may be capped with an exclamation but there is a giant question mark hanging over its future. 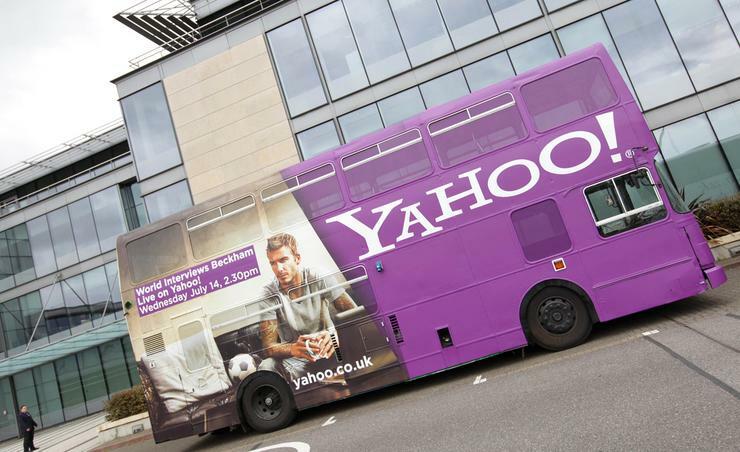 Despite its core businesses going out of fashion long ago, Yahoo! has owned some of the biggest names on the internet. Yahoo! may be capped with an exclamation but there is a giant question mark hanging over its future. The company announced a fire sale last week, giving potential suitors a fortnight to bid for its core web business along with Flickr, Yahoo! Japan and Alibaba – adding another chapter of intrigue to what has been a multi-volume business. "Yahoo might have some deeply-strategic plan in all of this and intends it to be the start of its rebirth but history has shown that when a company makes what appears to be a last gasp effort, it generally precedes their actual last gasp,” says Ben Kepes, analyst, director and principal of advisory firm Diversity Limited. The identity of the brand has been up for grabs since it launched as a web portal in 1994 before expanding into search, email, news - and later on - photo-sharing on Flickr, and whatever you can describe Tumblr as. I can’t think of another brand in existence that has managed to survive so long despite having no externally obvious strategy or objective. I wouldn’t even know how to begin describing Yahoo! as a company, which is weird because having worked there for more than four years I can attest first-hand to its commitment of hiring digital natives. Despite an almost complete lack of identity outside of CEO, Marissa Mayer, Yahoo! remains the best company I have ever worked for. It gets culture. It cares about its staff. It was embracing flexible work arrangements long before the word “agile” began gracing the pages of newspapers the world over. Neither before nor since have I worked for a place where I felt like I was part of a family where I could measure my contribution to the business both in terms of data, but also in the way that the management structure rewarded and appreciated its staff. There were detractions, of course: A flat corporate structure meant advancement was difficult unless you worked in sales. The news side of the business mainly involved content curation of AP feeds and cutting up Channel 7 news clips to upload to the website. (I understand this strategy has since changed under the guidance of my friend and colleague, Simon Black; a hard nose-journalist from way back who is no doubt whipping that newsroom into shape). The company hosted annual hack days where everyone would down tools for 24 hours to work on passion projects, tech and business solutions that would have benefited the company were they ever adopted by the board (which to my knowledge, few - if any - were, at least during my time). This free R&D wasn’t taken advantage of nearly enough. To this day, I do not know what Yahoo! is for. This is despite the fact that Yahoo! is the number one most-read news site in America according to Similar Web and attracts more than 7 billion readers per month according to web analytics provider, Alexa. Yahoo itself claims to have more than half a billion customers a month in more than 30 languages. “Probably by not doing enough due diligence, or being short-sighted about the future of some businesses *cough* SPREETS *cough*” they said. Sales staff received preferential treatment over the people building products or creating content and were actively pitched against one another. He said Yahoo!’s, “Legacy momentum” was its greatest strength and its greatest weakness. "Yahoo! 's strength, what remains of it in any case, lies in the aggregate information it holds and the users who still see Yahoo! as their primary entry point to the internet,” he said. “It will come as a surprise to more early-adopters but Yahoo! 's browser toolbar still has huge numbers of users and so Yahoo! has a large, but declining, opportunity to place ads in front of users. Without the businesses, there is little left but a historical URL and some infrastructure the analyst said. Read more ​Should Netflix refund its geoblocked customers for their inconvenience? “Individuals who remember searching on the internet before the days of Google will be a little saddened by this state of affairs." “Takeovers tend to be disastrous for all concerned and hence I predict that while the Yahoo! brand will still exist in five years, it will be a sorry shadow of what it was previously." “In particular it should find divisions that have the ability to become standalone businesses without the primary driver for revenue being ads,” he said. “But Yahoo! as a single entity is dead. Lots of little Yahoo!s might have at least a chance of surviving." Read more Google quietly brings forgetting to the U.S.
Legacy companies like IBM, Apple and Intel have survived the pivot and gone on to do amazing things: but for every Apple there is a Kodak which failed to foresee the influence digital cameras would have on its film business.